CleanAds.net makes it easy for web publishers to increase their online advertising revenue. All banner ads are manually verified to be appropriate for a family audience. CleanAds.net is a network of family-friendly websites, reaching millions of users per month. We use a variety of technologies to target and optimize ad campaigns for both our advertisers and our publishers. All ads and sites are manually verified to be consistent with family friendly values, allowing both brands and site owners to not worry about inappropriate content. Earn high CPM rates with banner ads that are family friendly. All ads are verified to be family friendly and be consistent with family values. Earn high eCPMs from safe advertisers. Multiple placement types available. Monitor traffic and advertiser performance in for all of your sites with an easy-to-use interface. Easy implementation, just copy and paste code. Ad units are responsive and mobile ready. Banner and dockable footer ads. Create a publisher account, all applications will be reviewed for appropriate content. Choose your Ad Size, Type of Ads Allowed and on what site the ads are going to appear. Simply copy and paste the short code to your website in the spot you want the ads to appear. 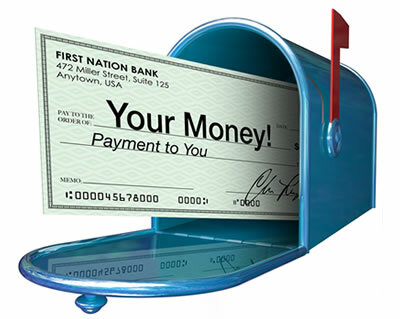 We'll handle the process of billing the advertisers, and we'll send you a check once you've earned a minimum amount.